Good Morning Tampa Bay, Alex here to let you know about the great things happening at the Straz Center this August. at 7 p.m. in the TECO Theater at the David A. Straz, Jr. Center for the Performing Arts. Students will perform what they’ve learned during the summer, in classes such as Flamenco, hip-hop dance and musical theater cabaret for adults. Regularly priced tickets are $8 and may be purchased by calling 813.229.STAR (7827) or 900.955.1045 outside Tampa Bay, in person at the Straz Center Ticket Office or online at www.strazcenter.org. On Sunday, August 14 at 1p.m. ten bands comprised of students enrolled in Rock School classes at the Patel Conservatory will perform modern and classic rock tunes from artists such as Cream, Green Day and the Rolling Stones in this concert. Regularly priced tickets are $8 in advance and $10 day of show and may be purchased by calling 813.229.STAR (7827) or 800.955.1045 outside Tampa Bay, in person at the Straz Center Ticket Office or online at www.strazcenter.org. More information about Patel Conservatory classes and summer camps is online at www.patelconservatory.org and by calling 813.222.1002. On August 16, 22, 23 and 24, the highly acclaimed Patel Conservatory Youth Orchestra (PCYO) will hold auditions for placement in the 2011-12 orchestra. 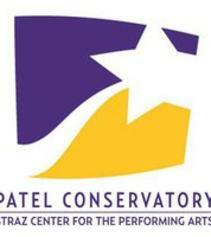 More information about Patel Conservatory classes, offered in dance, music and theater for all ages and abilities, is available online at www.patelconservatory.org and by calling 813.222.1002. Enjoy a day out of the summer heat at one of these wonderful shows or audition for the 2011-2012 Orchestra this month at the Straz Center. Click here, to see what else is happening at the Staz Center this August. Have a wonderful day and check back with us often for more information on Tampa Bay Theater and fun Things To Do In Tampa Bay!